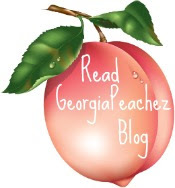 The Wreath Blog by GeorgiaPeachez: You Said "More Please"!! Thanks to everyone that bought a wreath from me this year. I've heard from a lot of wreath lovers that didn't get a chance to acquire a wreath, so here is what I'm going to do. 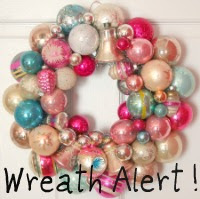 Click on this picture and you can sign up to be on my new email list for advance notice of listings for new wreaths. 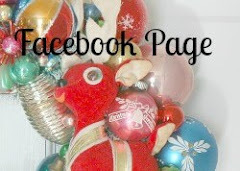 Starting after the holidays I will be working on wreaths again. In fact I'm going to work on them all year long! 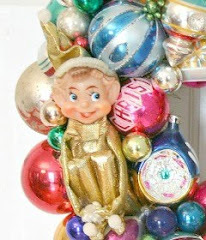 I will be even more vigilant and on the prowl for fabulous vintage ornaments and I will turn them right around into my one of a kind heirloom wreaths. 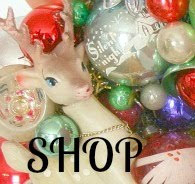 Thanks for this option - I'm totally smitten with your wreaths! Hi Suzy. I just wanted to let you know that I posted about your blog. I just love your wreathes. Thank you for your inspiration. On the one hand, I am disappointed because I keep missing the fabulous wreaths, but on the other hand, I am tickled pink that they are flying out of your studio. I have always believed in your talent and it makes me so happy to see how much everyone is appreciating it too!! this is the best blog idea of all time! 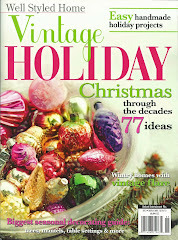 vintage Christmas all year round!